As CEO of HumanCode, Chris Glode brings over a decade of mobile product development and marketing experience to help build the next generation of personal genomics apps. Chris was an early lead at MapMyFitness, where he helped grow the mobile platform to over 20 million users across MapMyRun and MapMyRide. Following the acquisition by Under Armour, Chris led digital product management across the Connected Fitness business unit. Chris was a key member of the leadership team who acquired MyFitnessPal and Endomondo, merging them to form the world's largest platform for mobile health and fitness communities and tools. Chris's passion lies in using mobile technology to help people live a better life. I’ve been working in mobile technology and apps since 2006, mostly at startups. Most recently, I was an early employee at MapMyFitness, where I came to realize the extent to which mobile apps can help improve human health. 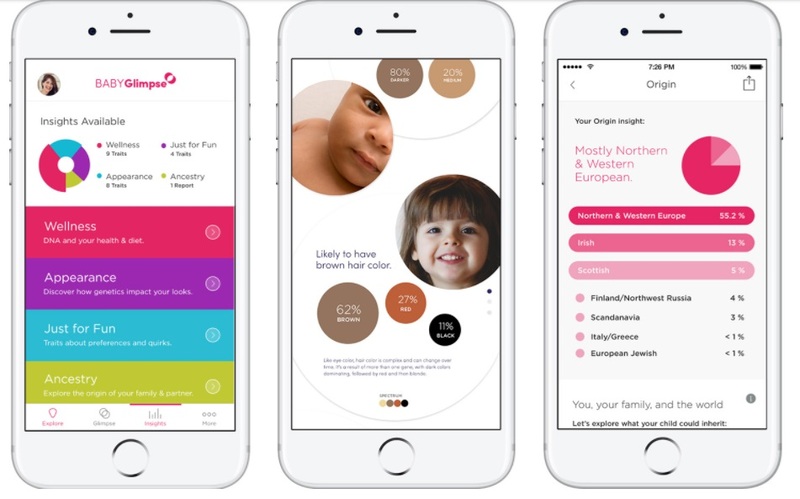 Always fascinated by genomics, I saw an opportunity to create a company that was very focused on bringing genetics mainstream, by creating a new generation of mobile experiences that were designed for the everyday person. The cost of DNA sequencing is dropping dramatically, while at the same time, the pace of scientific research is accelerating as more data becomes available. This is creating the perfect environment to build new experiences that can help millions of people better understand themselves and their genetics. It’s still very early in personal genomics: many people don’t yet understand how it works and how it can benefit them. The scientific concepts behind DNA and genetics can be intimidating to people who don’t necessarily have a science background. That’s the fun part of this challenge: how we can use our products to educate and engage people, while keeping the experience fun and engaging. Personal genomics apps shouldn’t feel like scientific research papers – they should meet consumers where they are, at their level of understanding and solving problems that they have today. This is where we spend a lot of time at HumanCode: working to get the experience just right – simple enough to understand and intrigue people, remaining true to the science, and offering more detail as the customer wants to learn more. Simply: we envision a world where everyone has access to their genomic data. HumanCode apps will be one lens into this data, that can be used for a specific purpose or time in their life. At other times, they might access their genomic data for other reasons (e.g. medical/health). There’s a time and place for a wide range of different engagement points between a person and her genomic data – we’re focused on providing amazing lenses and experiences that get people excited about their DNA. Today, we launched BABYGlimpse, our first app. It gives couples a way to explore and compare their own DNA, and what they might pass on to their children. Now our focus is finding ways to meet new parents at the time in their journey where BABYGlimpse can play a role in the excitement and self-discovery that comes with starting a family. We are very focused on our partnership with Helix – the marketplace for DNA-personalized apps and products. As a part of Helix, people can get their DNA sequenced once, and then tap into their data throughout the course of their lifetime. A big key for us is helping communicate the value of the platform to consumers and other partners: together we will build a vibrant, thriving ecosystem of apps, and our vision is that HumanCode helps define this new marketplace and category. Making the leap to start a new company was a big step for me personally. Having worked at 5 different startups, I always imagined what it would be like to start business myself. I left an amazing team and opportunity with Under Armour because I believed so much in the potential for HumanCode. Leaving what was for me one of the best jobs in the world, to start something completely new, was scary. I’ve been fortunate enough to have amazing partners in founding the company, and the small team that we have built shares our vision and has the skills, experience and passion to achieve our goal. Imagine a new couple, starting to get butterflies in their stomach about the excitement and wonder of starting a family. BABYGlimpse is designed to build on that emotion, and inform the discussion with scientifically credible, but entertaining insights into their DNA and what they might pass on. As a new Dad, going to see the ultrasound was a fascinating experience – a first glimpse into a new life and a new family member. Our first product, BABYGlimpse, builds on that excitement by allowing parents to better understand their own genetics. It’s also a great vehicle for sharing the excitement with family and friends who will be supporting the journey for the couple. I’ve had the most success in finding people who are highly self-motivated, and share the vision for our company. I do my best to explain to the team how our progress as a company will impact them personally. Having been a part of several startups, some of which were not necessarily “successful” in a commercial way – I like to share my own experiences to help the team think about this chapter of their career and what they want out of it. A big part of my job is to make sure the team has an environment where they can spread their wings, exercise their curiosities and talents, and build their own network and brands that will transcend this distinct chapter of their careers. The relationship between a startup and the individual team members needs to be symbiotic, with both sides gaining from the success of the other. In personal genomics, it’s critical that we stay true to the science. We work closely with Helix to ensure our products are scientifically sound and based on the best available research. We work hard to present the information in a credible, but still easy-to-grasp way. You shouldn’t need a PhD to benefit from genomics – and at the same time new startup companies like HumanCode must build trust with the consumer, which takes time and diligence. We all need to realize that this is the very first inning in an industry that holds tremendous promise – we are all stewards of a bond of trust with consumers, and that trust is based on us being realistic and transparent with our claims, and being diligent in the scientific validity of our products.